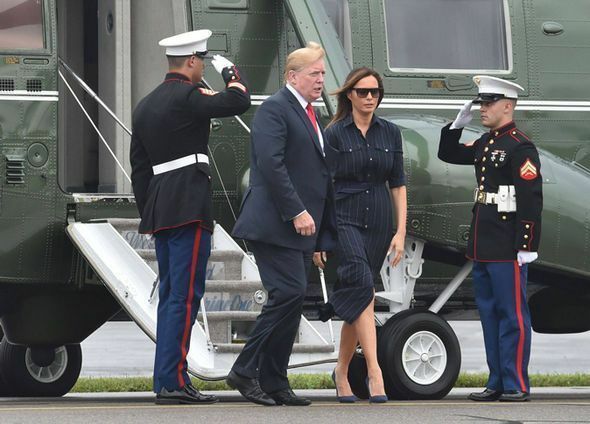 Liberals never did know much about fashion luckily our current FLOTUS is a woman with style! 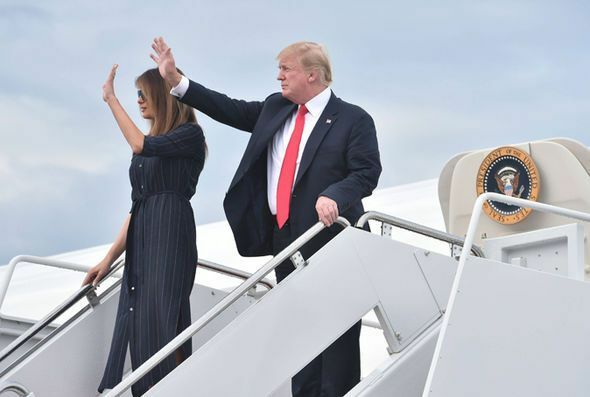 Melania Trump spent the weekend in New Jersey with Donald Trump, with the couple returning home today. 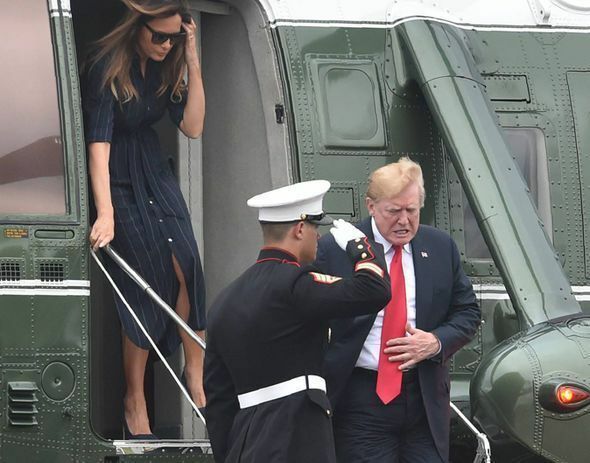 The First Lady looked fantastic for the journey, wearing a dark blue shirt dress which had a slim belt tied tightly at the waist. 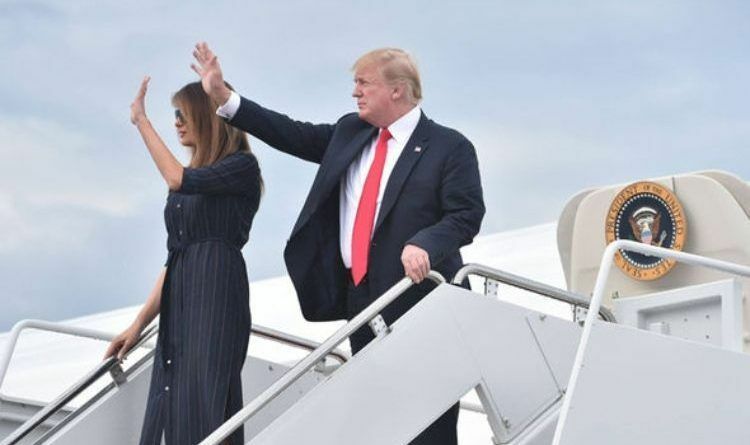 The couple looked happy and relaxed as they stepped off their jet, and the First Lady took the opportunity to show off her sensational figure. Melania Trump week is already schedued as she will will receive a briefing on babies born addicted to drugs when she visits a Tennessee children’s hospital this week. The first lady’s Tuesday visit to Monroe Carell Jr. Children’s Hospital at Vanderbilt in Nashville is tied to her “Be Best” initiative. Mrs. Trump unveiled the initiative at the White House in May to focus on childhood well-being, social media use and opioid abuse. 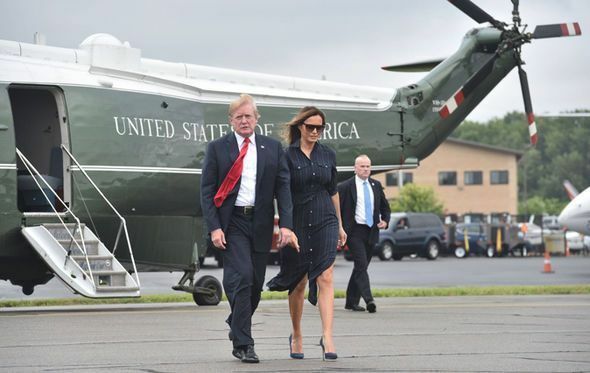 We have been blessed to have many beautiful, smart, and talented First Ladies but Melania seems to be one of the best if not the best. 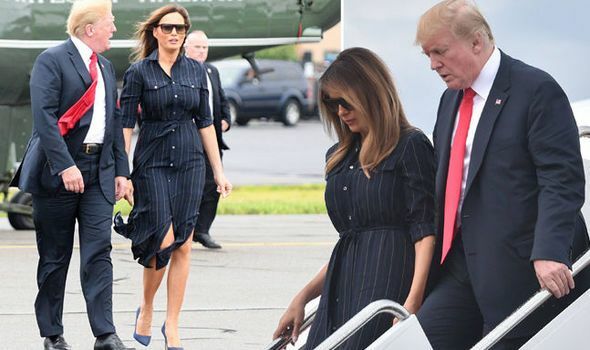 Do you like Melania’s look? 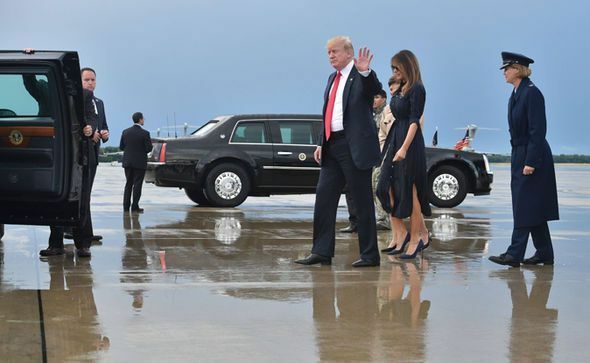 Share if you are proud of our First Lady!